Many realtors claim that they provide great personal attention to their clients, but how can one actually evaluate this attention? Here’s one way to evaluate: if your realtor goes to HomeGoods with you to help stage your home for your open house, it’s safe to say that you’ve got a good one… but more on that later. Last week, we sat down with Irene Nictas, Real Estate Agent with the Daniel Gale Sotheby’s International Realty team in Astoria & LIC. Their office is in the WeWork building at 35-37 36th Street in Astoria. Nictas told us about her upbringing, and then shared exactly why her personal touch makes her team the ‘go-to’ for Queens for buyers, sellers, renters, and even investors. Nictas was raised in Woodside and went to St. Demetrios School in Astoria. Fast forward a few years; she met her husband and they decided to move to Long Island. During her home search, she worked with a realtor that really impressed her. The realtor’s industry knowledge, market research, home inspection, and overall demeanor was positive, professional, and warm. This realtor, and Nictas’ whole experience in general, inspired her to become a real estate agent. Q: What’s your favorite part of being a Daniel Gale Sotheby’s International Realty agent in Queens? A: I love meeting new people, and helping them with the search for and the selling of their home. I want people to experience the same thing I did at that time. The process of both buying and selling is emotional and stressful. I take the stress off of my clients by researching property values, prospecting neighborhoods and targeting homes that meet my clients’ wants and needs. I also have have vast experience with home inspections, scheduling open houses, and staging homes. Q: Why did you join the Daniel Gale Sotheby’s Real Estate Firm, and why do you recommend that other agents join your team? A: Our firm utilizes the best technology, and has the best network. Daniel Gale Sotheby’s International Realty also creates us a website, and helps us with social media. They give us all of the tools to be successful. We have an amazing team with roots from all over, including Long Island, Brooklyn, and beyond… and I highly encourage anyone looking to enter the field, to take a look at what this company has to offer,. Q: What separates you from other agents? A: Personal attention. I recently represented the seller of a loft in LIC. It was a beautiful loft, but needed a little extra interior styling. So, my client and I took a trip to HomeGoods and bought a bunch of throw pillows, area rugs, and new lamps,” she exclaimed. The place was sold in two weeks. It was awesome. Another reason is my network. I am well-connected to a reliable network of service providers; from mortgage brokers, to attorneys to interior designers who I often recommend to my clients. I make the buying and selling process efficient by pre-qualifying clients before showing them properties. This way, I am able to zero in more closely on the price range they can afford. This helps streamline the real estate process for both sellers and buyers. Q: What new initiatives does your team have in store this Spring & Summer? A: Informational seminars in the community, and giving back by volunteering and sponsoring events at community non-profits. The goal of our seminars is to educate. Whether it be first time homebuyers, or residents who would like to learn about elder law, and estate planning. It’s important to inform our community. I am also a new member of the Young Professionals Board at the Variety Boys and Girls Club. Our network volunteers with kids programs, and help fundraise for the Club, which is a local non-profit serving thousands of children each year. Irene Nictas can be reached at her Astoria office at 718.650.5855 or on her call cell at 917.518.3031. Her email is irenenictas@danielgale.com. Visit her website here. You can follow her on Instagram at @inictas_realtor. 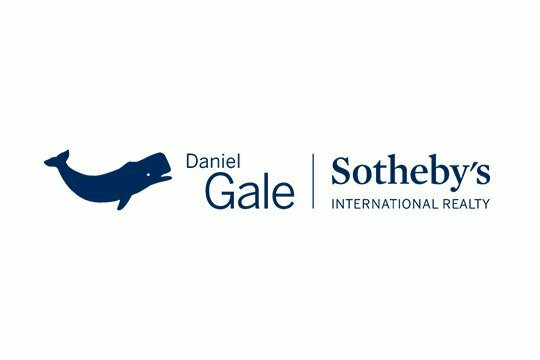 The Daniel Gale Sotheby’s International Realty office is located at 35-37 36th Street 2nd Floor in Astoria. You can follow the team’s Instagram at @danielgale_astoria_lic.